Only 11 left! This item ships in 1-2 days. Our Mr. and Mrs. Can Wrap will be a fantastic honeymoon accessory! Enjoy your favorite cold beverage out of your matching can wraps as you enjoy a quiet evening together as man and wife. This Newlywed Can Wrap measures 4" x 9-1/2" with velcro closure around your beverage bottle or can. Free personalization is included. 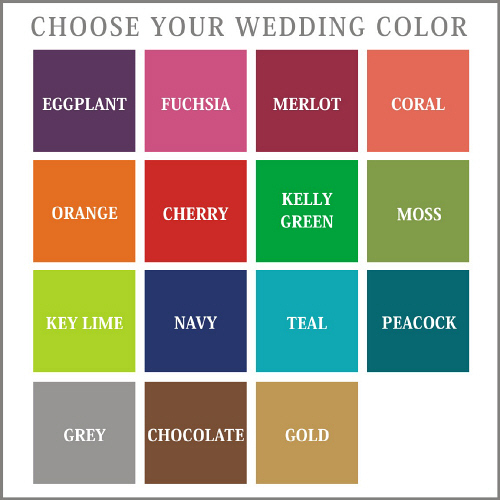 Just simply choose your design preference of the dress or tuxedo, select your favorite wedding color & add any family name. 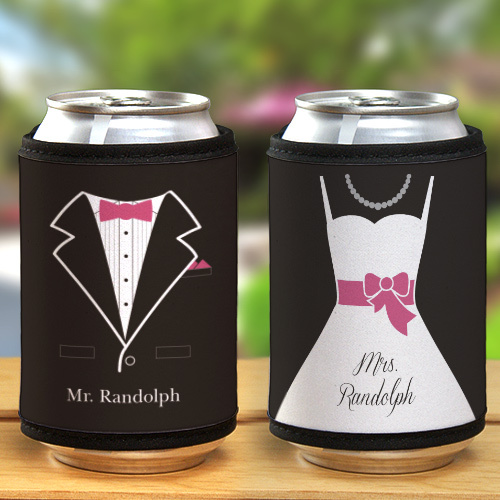 Can Wrap Cooler measures 4" x 9 1/2"
Additional Details Our matching wedding can wrap will keep your favorite beverages cold and refreshing on your honeymoon. Bask in your newlywed bliss as you enjoy your favorite drink together.